Ocean Colour Scene (OCS) are an English rock band from Birmingham. They stem from the same 90s British indie/rock/pop era as Blur, Oasis, Radiohead and The Verve. 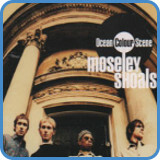 Ocean Colour Scene had the most success with their 1996 album ‘Moseley Shoals’. The album contained the band’s three biggest hits ”The Riverboat Song’, ‘The Day We Caught The Train’ and ‘You’ve Got It Bad’. Spy Tunes has recorded one of Ocean Colour Scene’s B-sides ‘Robin Hood’, a song which has become a classic among their loyal fan base. Songs reaching the masses through underground demand like this is not as rare as you may first think. ‘I’m Yours‘ by Jason Mraz had a similar venture. Everywhere Mraz went people knew the lyrics off by heart. Mraz capitalized on this with his 2008 release, OCS never did release ‘Robin Hood’ as a single. It’s worth noting how songs that reach such legendary status like this always have a very simple harmonic and melodic structure. 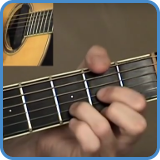 The message is clear, the chords are simple. The lyrics are direct and rhythmical patterns are always easy to follow. After the huge success with the ’96 Moseley Shoals, OCS has released a new album every two years between 1997 and 2007. The latest release from Ocean Colour Scene appeared in 2010. Named Saturday, it marked the 21st birthday of the band. For complete lyrics, go to Robin Hood lyrics.